A new “Super-Earth” has just been discovered orbiting a dwarf star in our galaxy only 42 light years away. Although this sounds like a huge distance, when compared to the size of our galaxy it is not that far at all. The planet HD40307g is one of 3 new planets found to be orbiting the star HD40307, residing the furthest away from the star in its habitable zone and being only 7 times the mass of the Earth. The team that spotted the planet used the Harps instrument at the European Southern Observatory in Chile. This instrument detects small changes in the spectroscopic pattern from stars as planets transit across. The find comes only a few weeks after another major discovery by the same instrument which observed a small planet orbiting Alpha Centauri B, our second closest neighbouring star. Many planets have now been identified around close-by stars. The recent public project ‘Planet Hunters’, which was launched at the beginning of 2012, has vastly added to the amounts of planets we know about, including the Neptune sized planet found in a system 5000 light years away which has been dubbed PH1 (Planet Hunters 1). Thanks to the Planet Hunters project, the count of known planets is now over 800. However, the vast majority of these planets have no known way of supporting life. The main kinds that have been found are huge Jupiter sized objects, dubbed “gas giants”. These have no solid surface and it is therefore highly unlikely that life could have developed upon them. Additionally, most of the discovered planets are located very close to their stars, which would result in very high surface temperatures and unstable orbits. These reasons mean that so we have been unable to identify a suitable planet that could host life until now. HD40307g is located in the habitable zone of its system. Similar to our solar system, there are numerous planets orbiting its star and it is far enough away from the centre that its orbit should be steady, similar to that of the Earth’s. The ‘habitable zone’ of a star is defined as the region where liquid water can reside on a planet’s surface. An alternative name is the ‘Goldilocks zone’, as the conditions have to be just right; too far in towards the star and the temperature will be too high resulting in boiling of any water, too far away and the temperatures will plummet and the planet would become a huge ice ball (much like that of Jupiter’s moon Europa). The Earth sits in about the middle of our Sun’s habitable zone, although our Sun is steadily warming and pushing this zone further away from us. This means that our planet can easily support liquid water on its surface – the key component for life to form. Furthermore, HD40307g is only 7 times the mass of the Earth and so it is very probable that it has a solid surface. The question that now remains is whether HD40307g has any water on its surface. This question is very hard to answer. It is one thing to spot an object far away in space, but it is an entirely different process to then find out what that object is made from. Because planets are relatively small compared to their stars, when comparing spectroscopic data much of the planets light will be dwarfed by that of the star. This means that extensive exposure time is needed in order to clarify exactly what elements are found on the planet’s surface. Although the Harps equipment is very good at spotting these changes, it is hard to distinguish composition. Plans have therefore been put in place to direct the Hubble telescope at the new discovery in hope of finding more information about the planet’s make up and its star. Although it seems like this new planet could be a potential host for life, there is one major factor that is dissuading astronomers currently: the type of star it is orbiting. HD40307 is a small cool star emitting orange light and so it is not as particularly ‘Sun-like’ as we would expect for a life supporting planet. As our planet is slowly being destroyed, many people now believe it is of paramount importance that we find a suitable candidate to move on to if we cannot revert some of the changes that the Earth is predicted to experience in the near future. 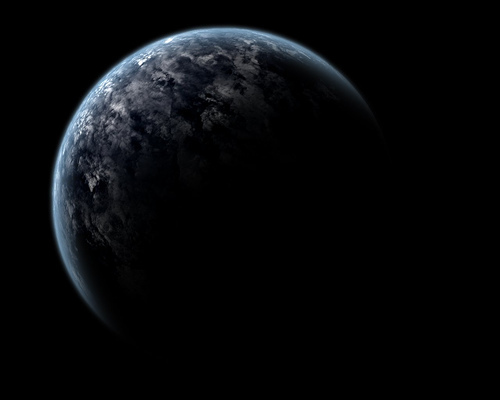 Many astronomers agree that with our developing technology we should be able to spot an Earth 2.0 very soon (a planet very similar to the Earth and residing around a star much like the Sun). So, the next action that needs to be taken is to prepare for the journey to our potential new home.